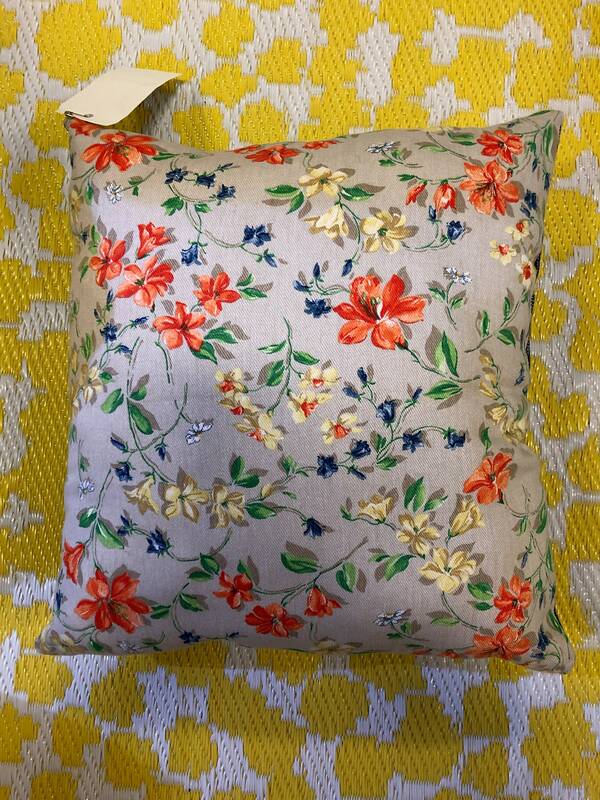 Indoor pillow with an orange and blue floral pattern on the front. The back is a soft denim. Both are made with cotton. 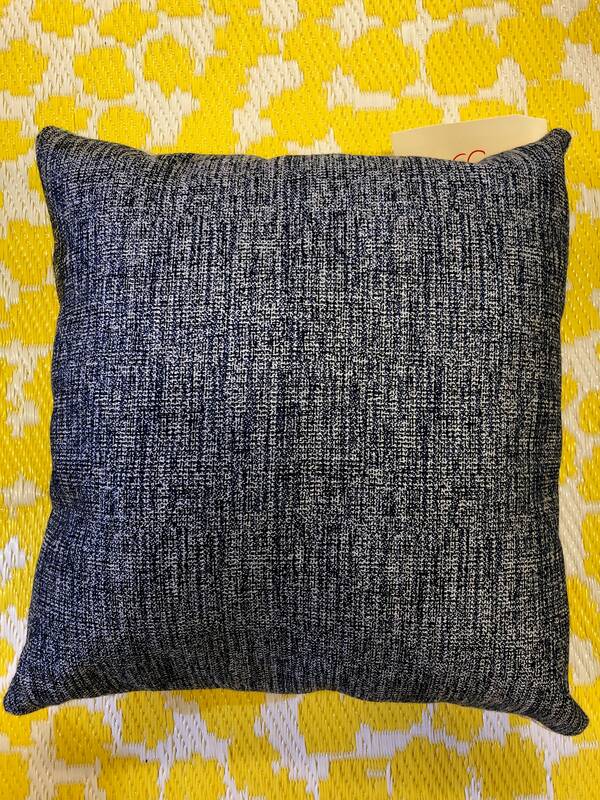 The fill is a polyfill which is hypoallergenic. This would make a fabulous addition to any nursery, kids room, bedroom, living room or covered porch. Only 2, so purchase quickly.